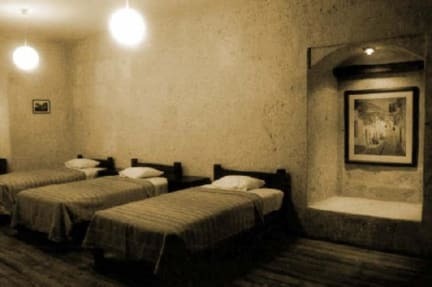 The Casablanca Hostal i Arequipa, Peru: Reservér nu! 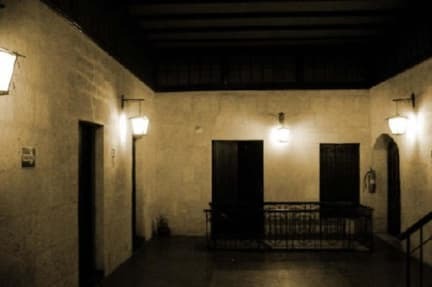 The Casablanca Hostal has been built in the colonial style and is made of volcanic sillar. The building was recently renovated and is located at the heart of the historic centre of the city of Arequipa. Its central location means that it is very close to the citys main tourist attractions. There is a panoramic view of Arequipas main square from the hostal balconies. We are within walking distance of restaurants, museums, antique shops, handicraft shops and bars. The guesthouse has eight large colonial-style rooms made of sillar, each with an ensuite bathroom and wooden floors. There is a generous entrance hall and a quiet caf. Guests can enjoy a wonderful view of the city and the marvelous Andean sun from the terrace on the second floor.